Anyone who has a credit card risks carrying too much credit card debt. Once you've accumulated too much credit card debt, it can take several years and lots of sacrifices to pay it off. As you use your credit cards, keep these tips in mind to avoid getting yourself in over your head. Staying on track with your credit card payments is one of the best ways to avoid credit card payment. Once you miss a payment, your next payment due will be much higher since you'll have to make two payments plus pay the late fee. It gets tougher to catch up, puts a strain on your budget, and tempt you to use your credit cards to make ends meet. Many people end up with credit card debt because they didn’t realize they were on the way. If you recognize the ​early warning signs of credit card debt, you can avoid going into debt altogether. For example, being unable to pay your full balance is a sign that you're headed for credit card debt. 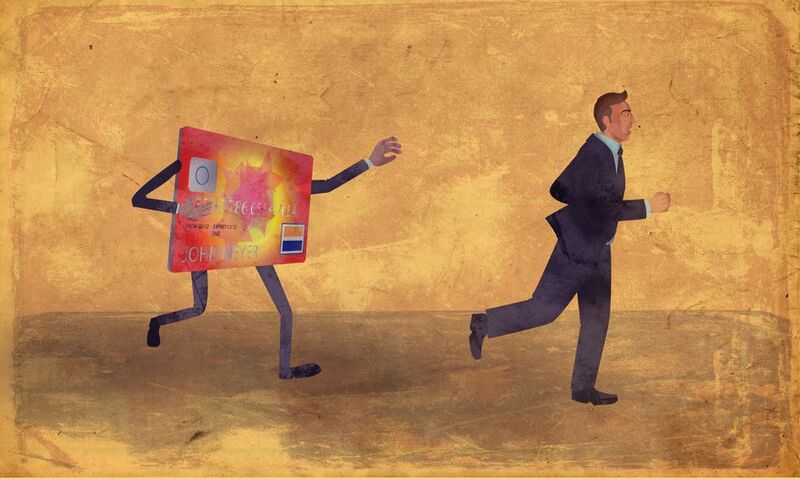 When someone else uses your credit card, you have no control over how they use it. Even if that person says they’ll pay your credit card bill, you are ultimately responsible for the charges they make. That means, if they go on a spending spree and refuse to pay up, you'll have to pay off the balance.